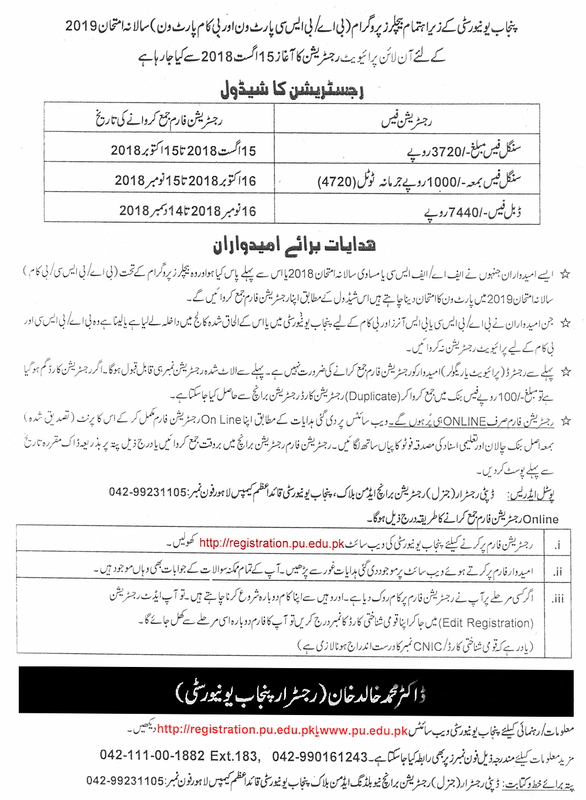 Punjab University (PU) Lahore Online Registration of Private Candidates for B.A. / B.Sc. Part-I & B.Com Part-I Annual Examination 2019. Address: Deputy Registrar Registration Branch New Building Admin Block Punjab University Quaid-e-Campus Lahore.